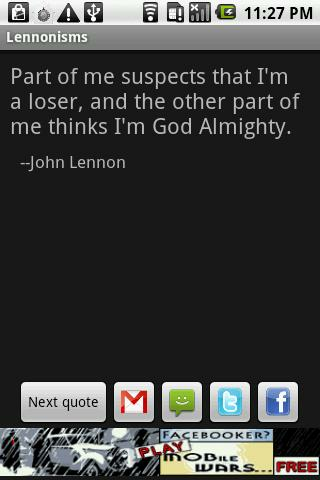 Lennonisms is an app where you can read some famous quotes from former Beatles member John Lennon. 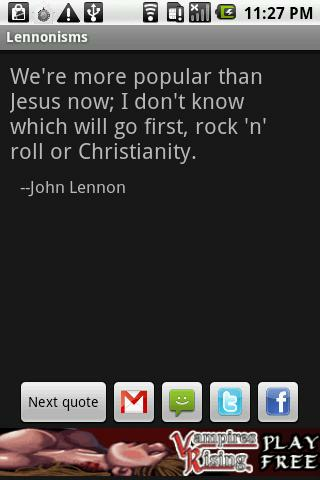 To load up a different quote, either press the Next quote button or shake your phone. Rising number divides. Unless remainder, then adds!